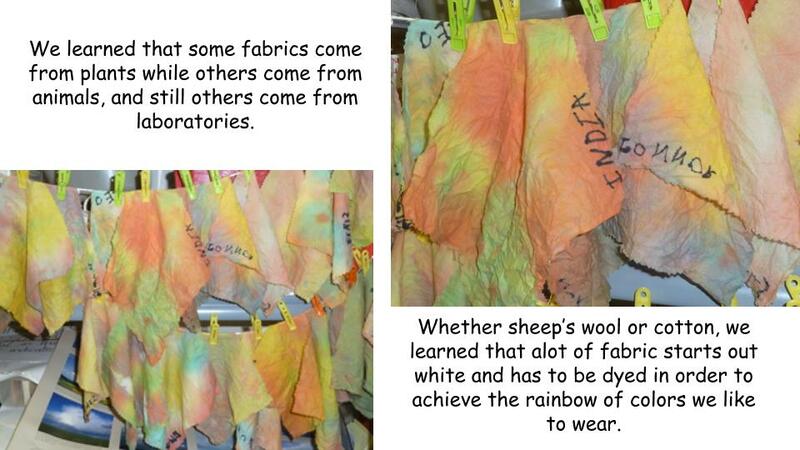 all sorts of fabric; weaving, sewing and dying. 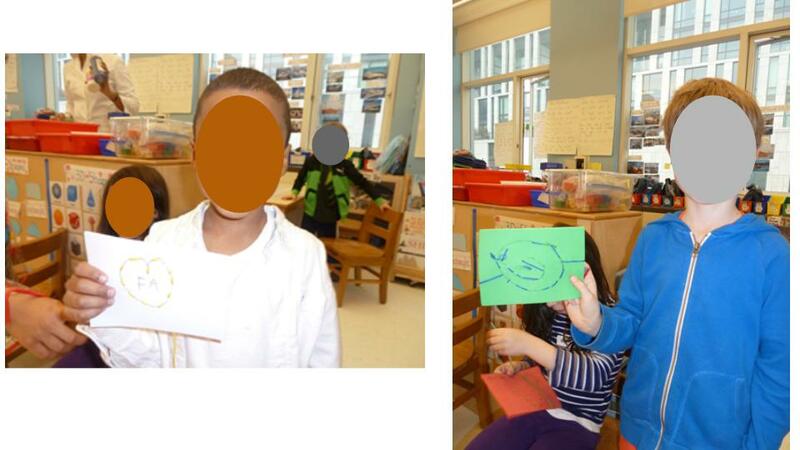 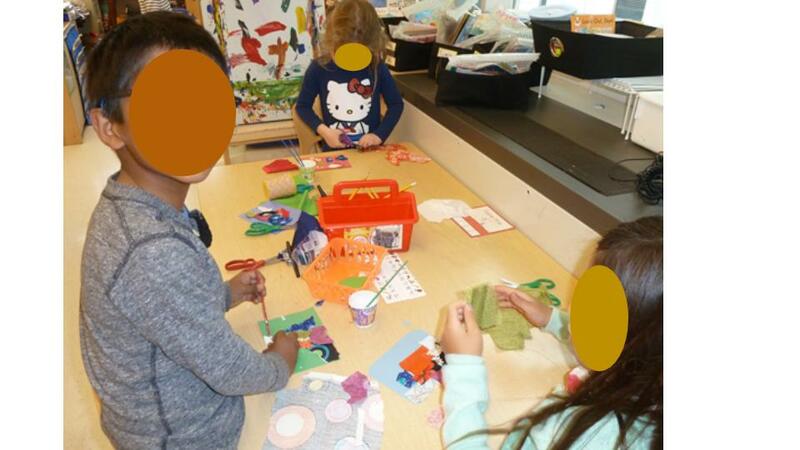 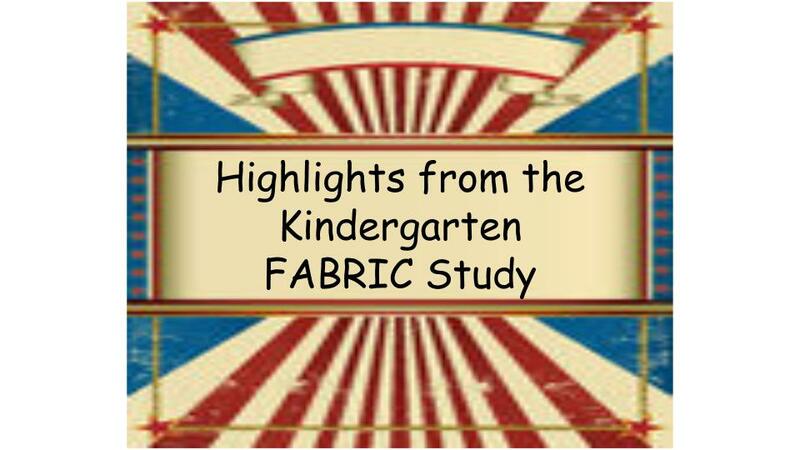 As part of our FABRIC study, the kindergarten experimented with texture, color, print, size and shape to create spectacular fabric collages. 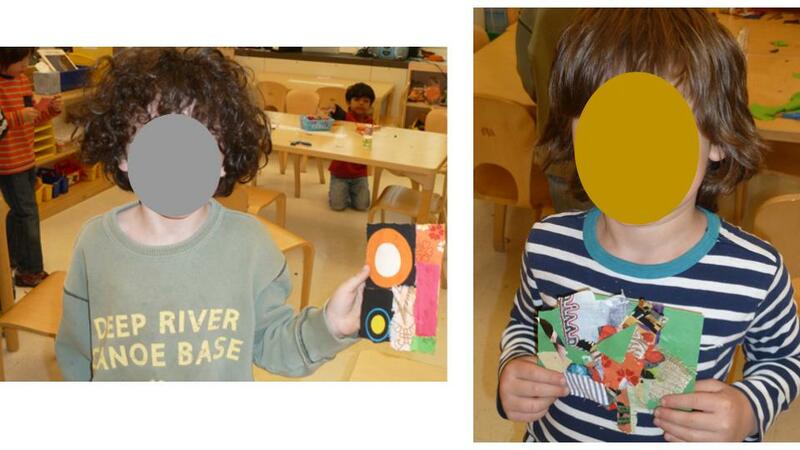 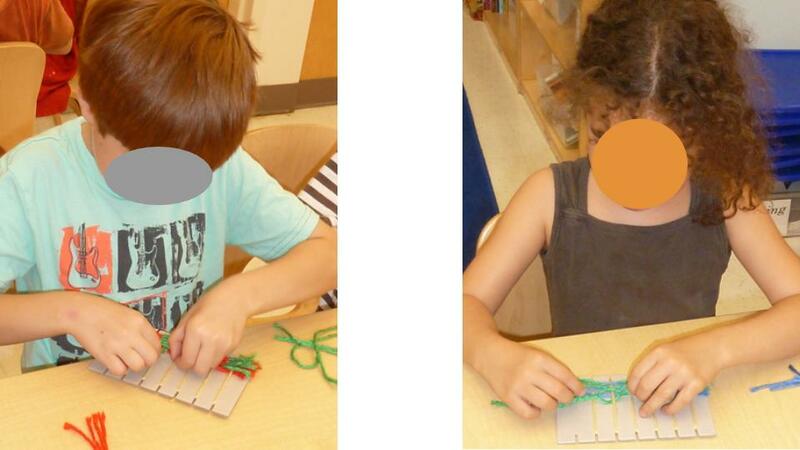 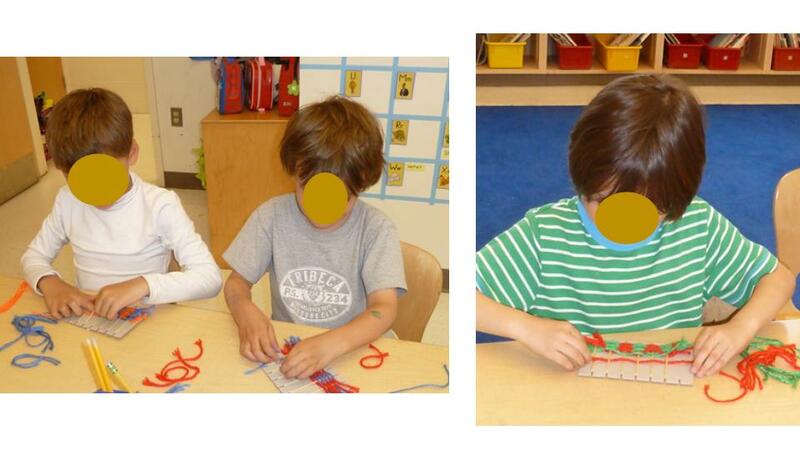 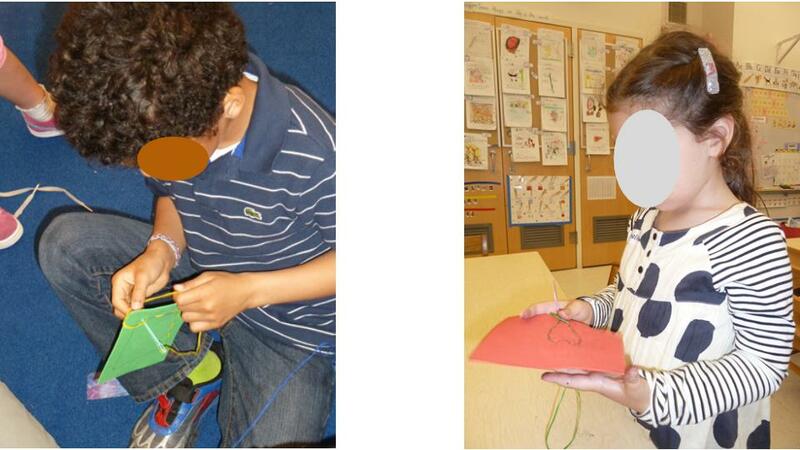 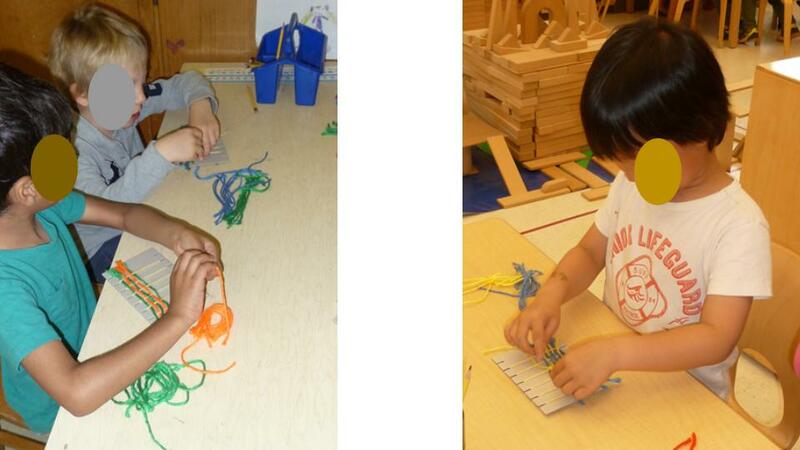 We learned about how fabric is made by weaving our own bookmarks. 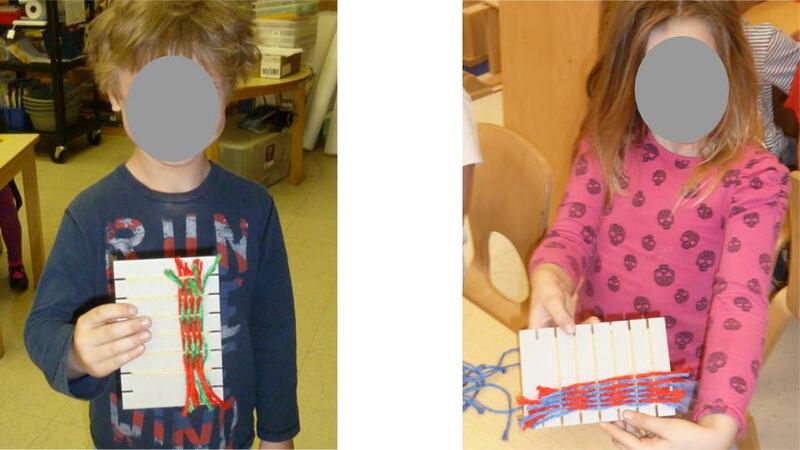 We used patterns of alternating color and alternated threading the yarn through the ‘warp’ on our looms: over-under, over-under. 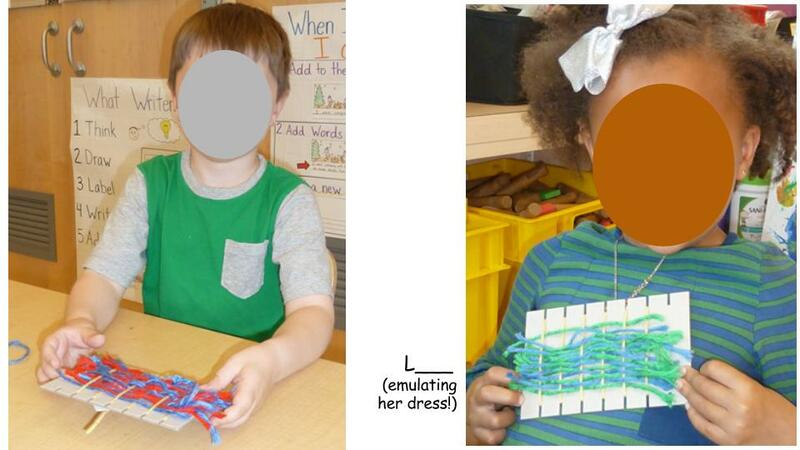 Loved this unit! 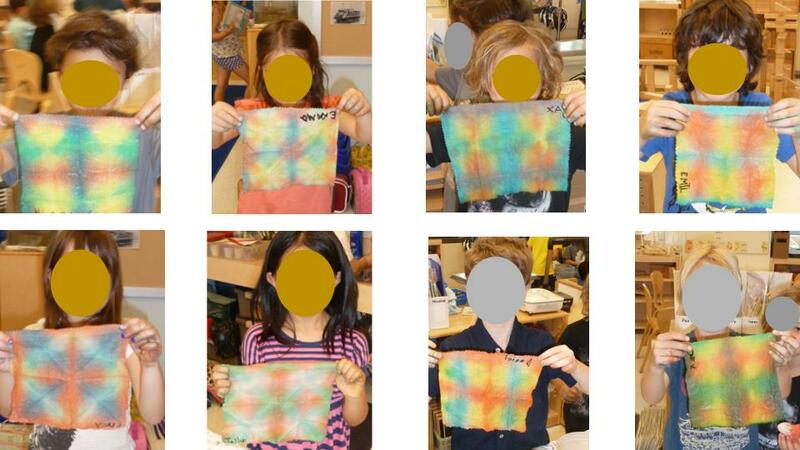 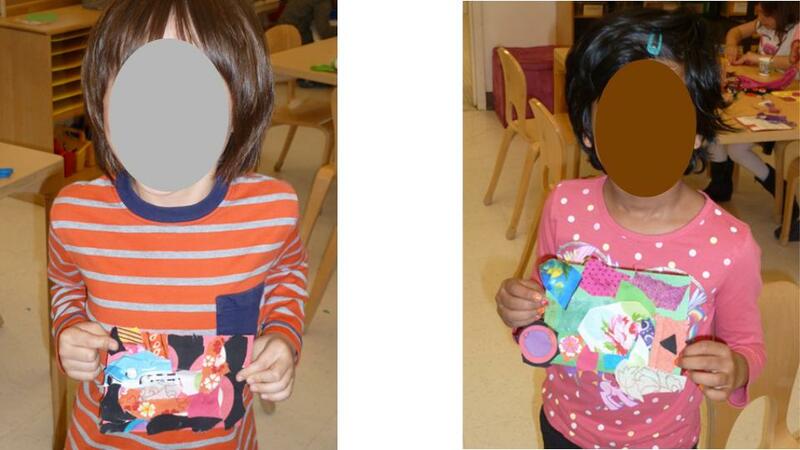 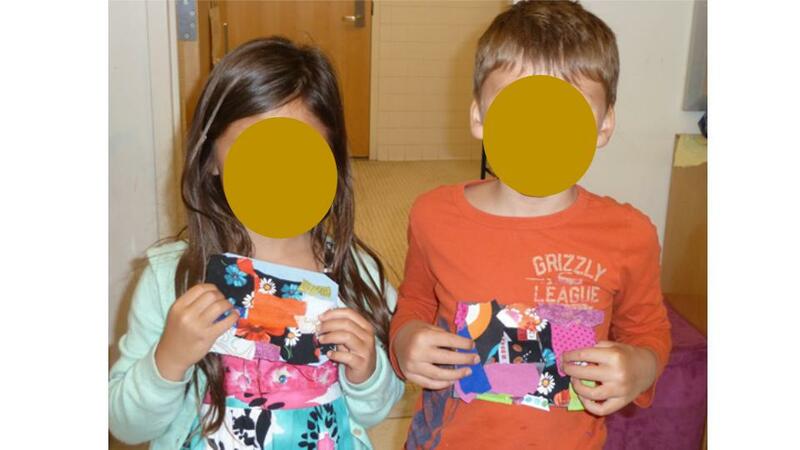 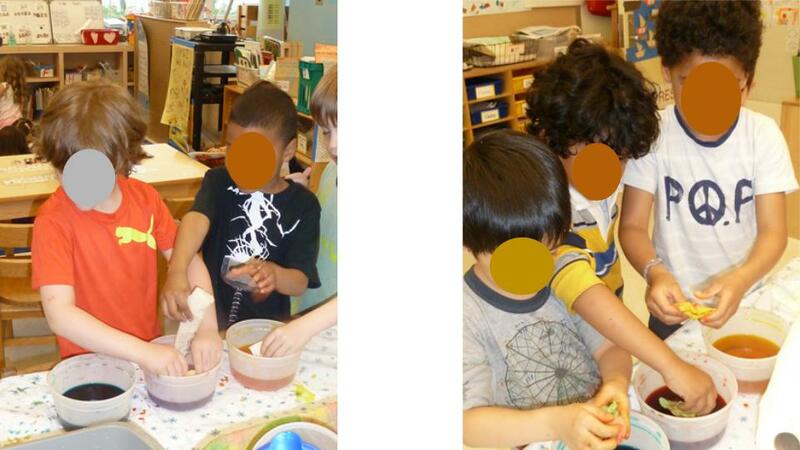 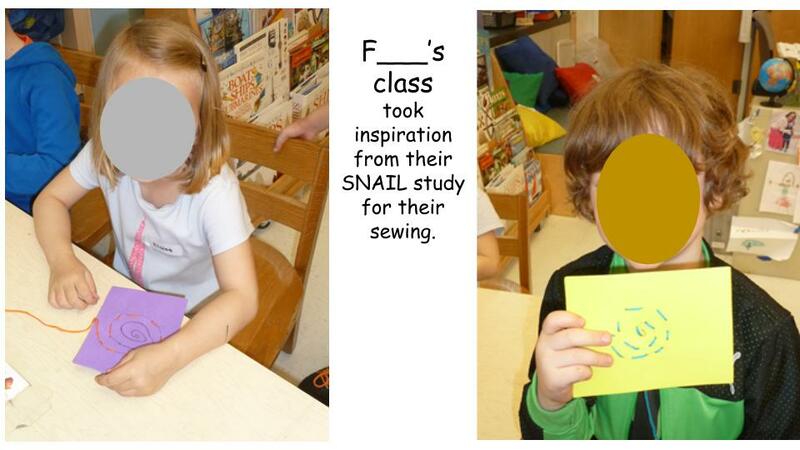 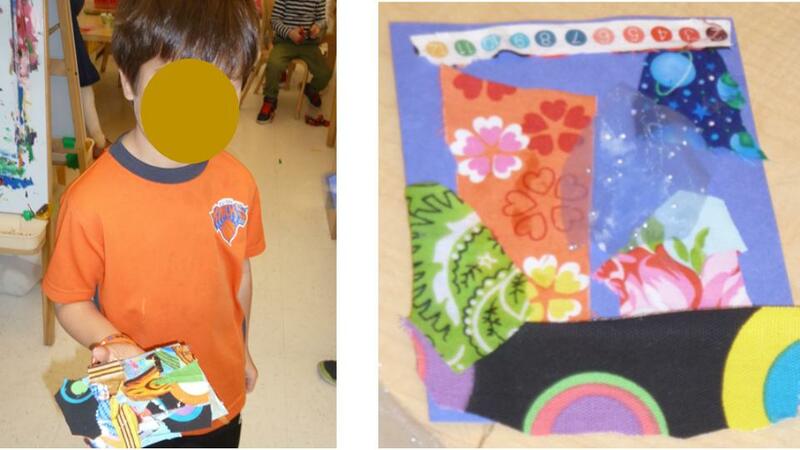 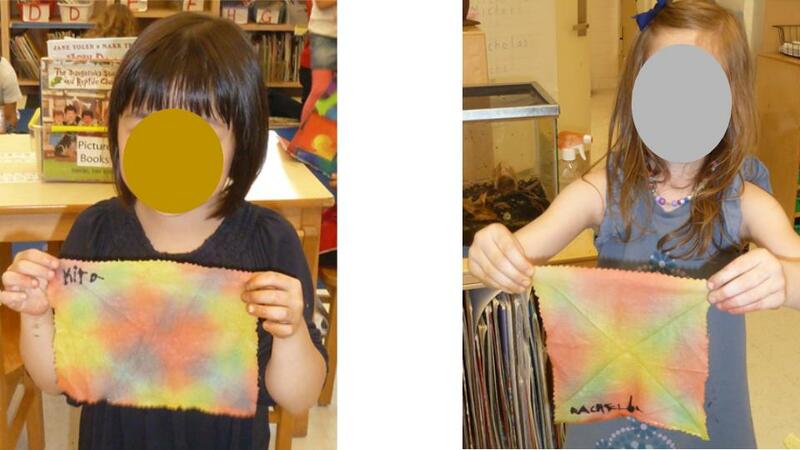 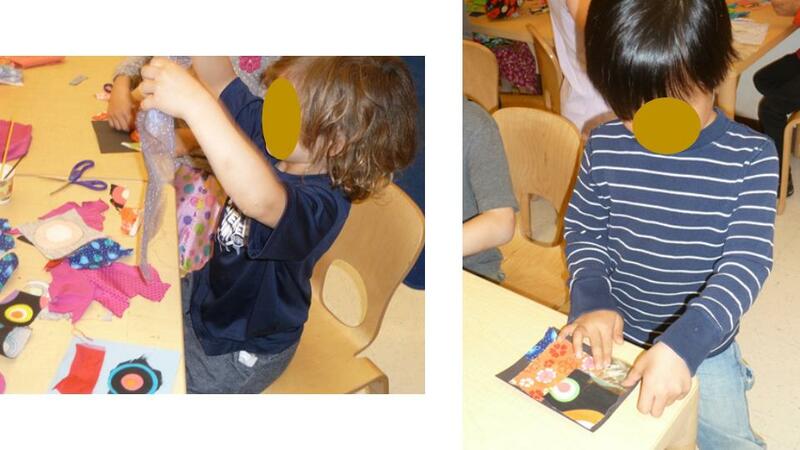 The dyed fabrics are beautiful and it looks as if the kids are really into both the weaving and coloring the fabric!